TGIF! I am really thankful that it is the weekend. Not just a weekend but a long Memorial Day Weekend. Yay! This week has been good but so tiring. Finding little joys keep me going. 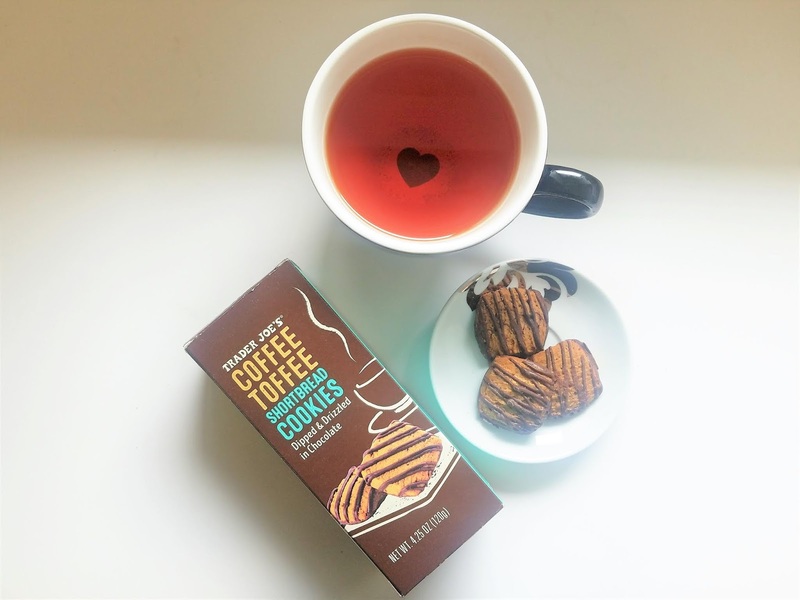 Coffee Toffee Cookie from Trader Joe's -- So good with my tea! Thanks, BFF! I am happy with my cute finds in time for summer! 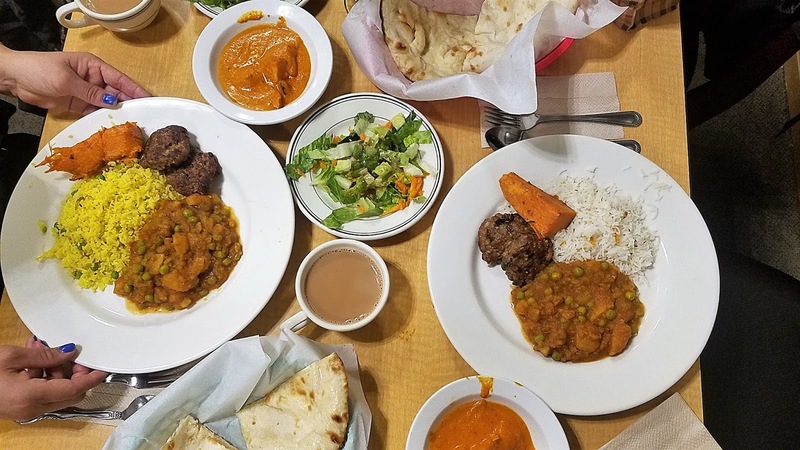 Indian food lunch with a group of fiercely independent women who volunteer their time to the community! Thank you for the treat. We shared a side of fries. My mom had pancakes and the works while my dad had a veggie casserole. My nephew had a milkshake, peanut butter pancakes, egg, sausage and hashbrown. I was craving pasta so ordered spaghetti and meatballs. I enjoyed it minus the meatballs which I gave to my dad. Weekday brunch with my mom, dad and nephew. I took the day off to rest but my dad asked if I could drive him to get his medical records. Because I am a dutiful daughter, I went. Despite feeling tired, I knew that I always enjoy spending time with my mom and dad. We then picked up my baby nephew, Gabriel (actually he is already 14 but will always be my baby). 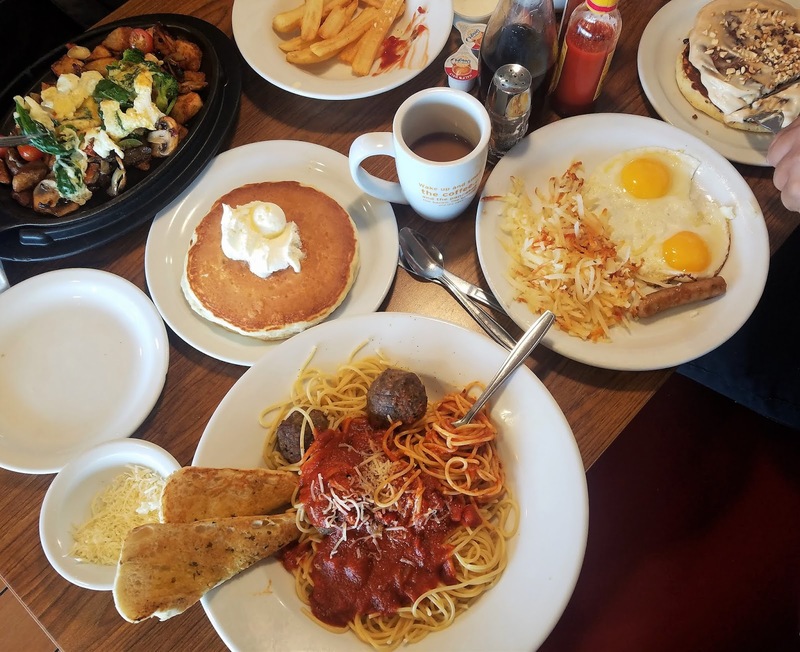 We all went to Denny's for brunch. It is a joy to see my family eat heartily and enjoy their meal. 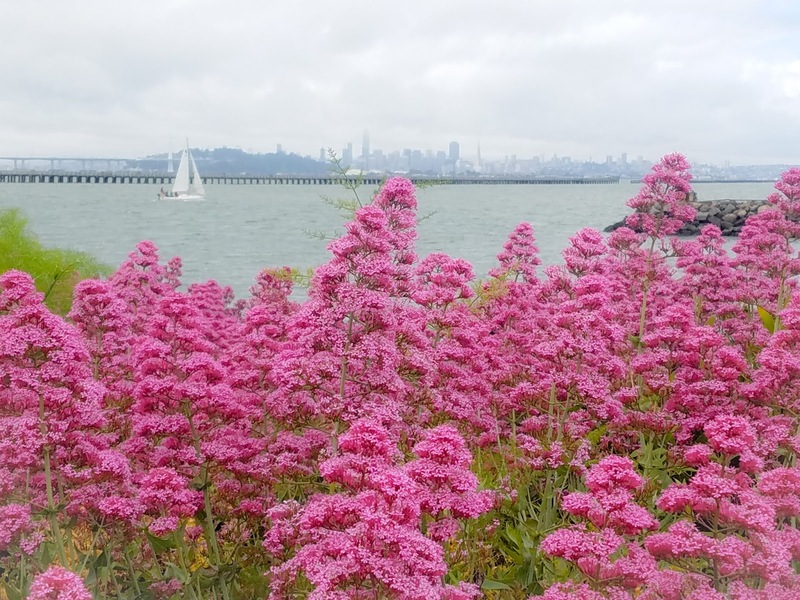 A postcard day by the Berkeley marina. I was there for work but it was such a nice workday to have this view! We were also fed Mexican food for breakfast and lunch. It was a nice treat. Note to self: Take a day off and spend a quiet morning here. A monthly event at work where there were plenty of delicious pastries and coffee. 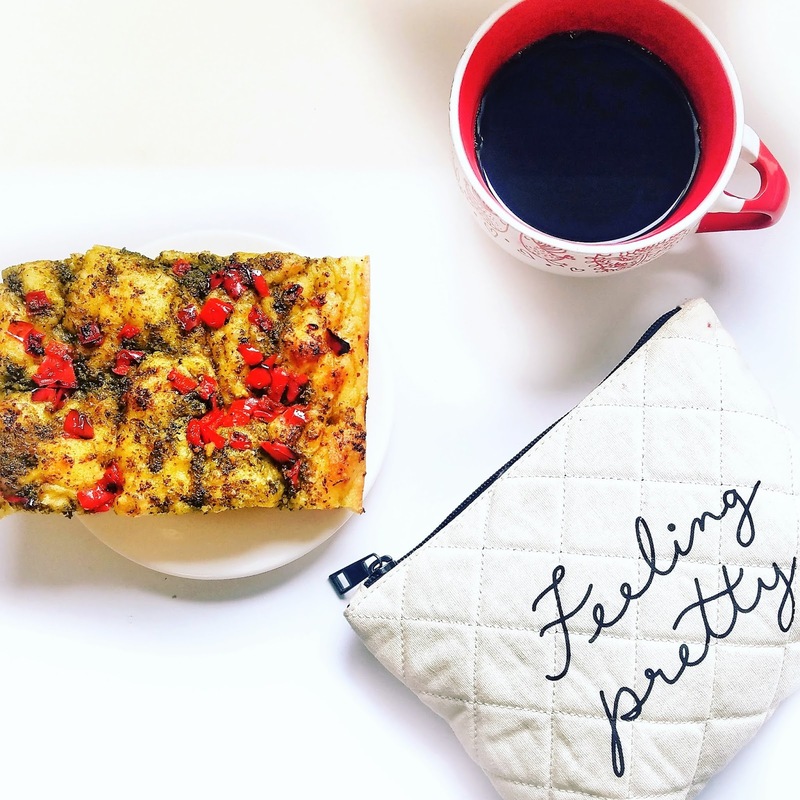 I enjoyed this pesto and bell pepper focaccia with Peets coffee. Mr Sweetie worked late on Friday night which gave me a chance to finish a cozy mystery "Grimm's Furry Tail". while waiting for him. Cozy mysteries are my ultimate guilty pleasures in reading. A second Weekday Joy post! I am happy that I am able to post another one in this series despite my packed schedule. And despite not being able to get the rest that craved this week, I am very grateful for sharing another lovely meal with my mom, dad and nephew.